Happy November! 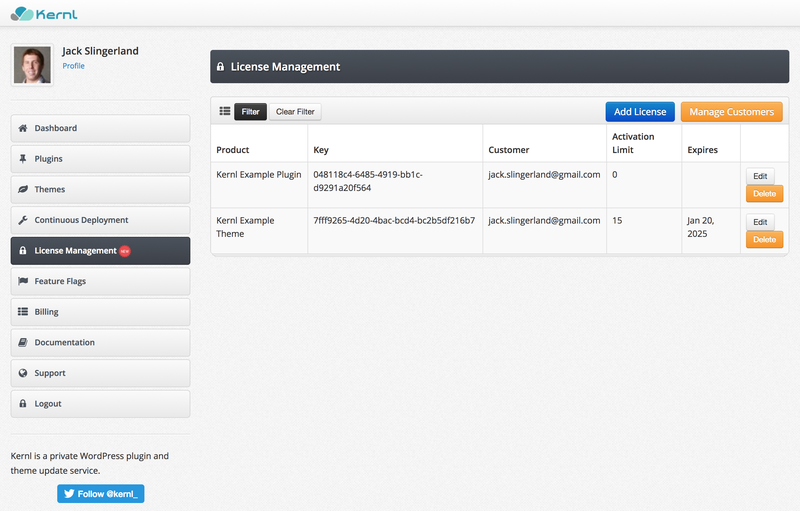 The last month was all heads down on one new feature: License Management. 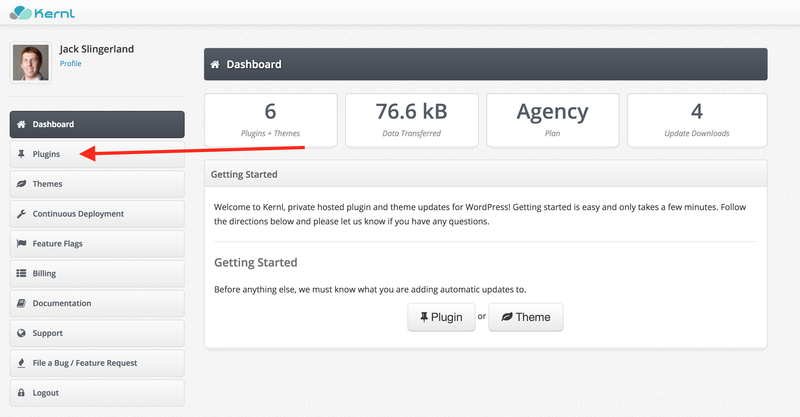 WordPress License Management – As many of you know Kernl has had “Purchase Codes” for awhile now. It was clunky to use but generally very effective at it’s goal. License Management is the next generation of Kernl’s purchase code system. It’s less clunky, easier to understand, and doesn’t need to be tied to a plugin or theme. You can access it via the “License Management” button in the main menu. Pricing and usage limits can be viewed in the billing area. Part of the new License Management system is the concept of customers. Ideally you should be able to tie multiple licenses to a single customer and manage them effectively through Kernl’s web interface or API. The new license management system was launched with a very simplified version of customer management, so the next month will be dedicated to making the customer management experience on Kernl amazing! This month wasn’t a big feature month for Kernl, but there were some smaller bug fixes and infrastructure updates that are helping us serve our customers better. In addition to that, we also put out a short survey. Thanks to everyone who responded! We are now able to automatically manage your BitBucket deploy keys. No more manually adding them! Fixed & removed some flaky integration tests for feature flags. Updated the documentation to reflect the BitBucket deploy key change. Added some instrumentation around managing repository deploy keys and webhooks. Upgraded application servers to Node.js 8.6. A new cookie signature was deployed this month to fix a bug with authentication. You likely needed to re-authenticate because of it.